The team created decoy sharks out of plywood and painted them to resemble bonnethead sharks. The drone was able to locate the replica sharks. Researchers from Duke University and the University of North Carolina-Chapel Hill are exploring the potential of using drones to prevent shark attacks at beaches by using the technology to track shark behavior. 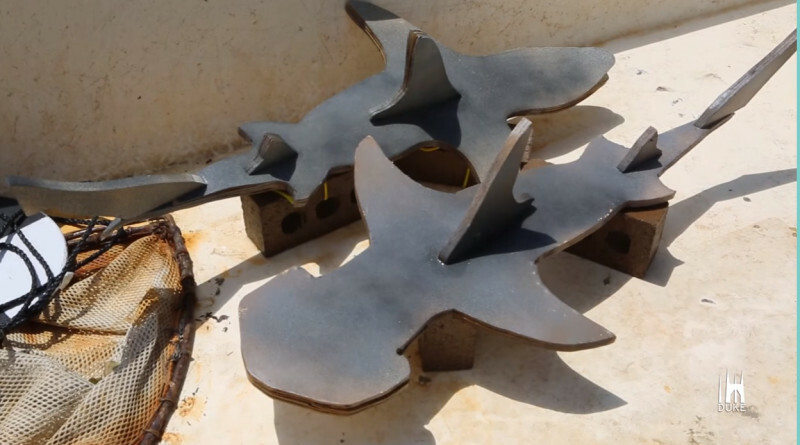 The team deployed drones to determine if the equipment could locate the decoy sharks they created out of plywood to resemble bonnethead sharks that were placed in a marine habitat. So far the drones have been able to detect them. “Our surveys so far are telling us if the sharks are there and they’re less than a meter deep, or a little past a meter deep, then we should be able to detect them even when the water is murky,” said Dave Johnston, director of the Unoccupied Systems Facility at Duke’s Marina Lab, in a DukeToday article. According to Gizmag, the team of scientists is continuing to test the detection technique in different habitats to make sure it works. The team’s ultimate goal is to create a system that will allow for the deployment of drones to detect sharks in coastal areas to notify swimmers when sharks are in nearby waters. “Here’s an opportunity for us to use some pretty powerful small computers on board a very small aircraft to take us into a real-time detection situation. And that’s where we’d like to be a few years down the road,” said Johnston. The collaborative study is funded by North Carolina Aquariums.